Rabbits make for great pets. They’re adorable, playful and everybody loves them. But that until they start breaking things around your house. They need a lot of space to run around and explore and sometimes they might even end up in places and situations they shouldn’t be, messing up your house. If that’s the case with your bunny friend as well, you might want to consider some ways to rabbit proof your home. Before he gets into more advanced destruction. 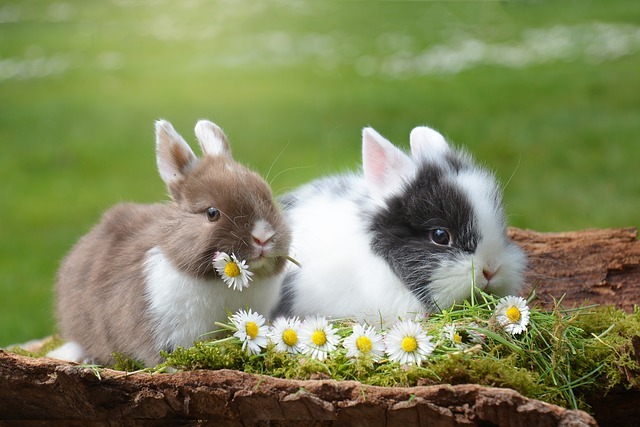 Rabbits love to chew on things, to hide in small, dark spaces and they’re also very curious little animals, which makes a perfect combination for messing up of your home. Leaving them unsupervised around your home will probably end up in at least a little bit of destruction to your home. 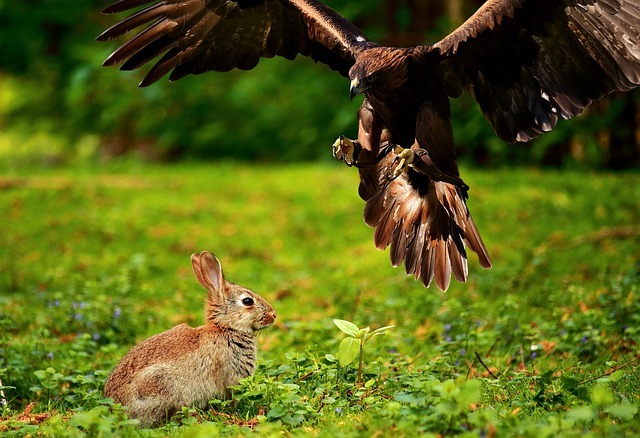 To rabbit proof your home means to make it as resistant as possible to the habit of chewing that rabbits have. If you plan on leaving your bunny friend roam around your home free, then you definitely need to think about this. One way to ensure the safety of your belongings is to train your bunny not to chew on stuff. But no matter how good the training is, there will still be errors and lapses in training, so you shouldn’t rely only on that. 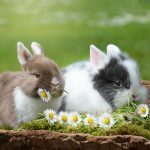 Confining your rabbit to only a small area of your home is another good measure, but if you want to give him more freedom, you need to set up some more advanced measures. 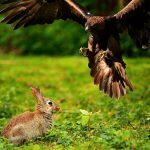 The first and easiest way to rabbit proof some areas of your home is to simply block off bunny’s access to those specific areas. For that matter you can use baby gates or anything similar. Apart from chewing, rabbits love to dig. And they’re good at it, so you might want to protect any surface that may be torn to pieces in the process, including rugs, carpets or other types of padding that you may have in your home. Beyond that, there’s also the danger of your bunny ingesting some of those pieces of fiber they just dug up from your carpet. To avoid that, the best option would be to designate your pet friend a room that has a non-porous floor, such as laminate flooring, tiles or linoleum. Those are also very easy to clean at the same time. But remember, no rugs or carpets in there just to be sure. Then there’s the problem with wooden baseboards, another favorite part of your house that bunny will surely love to chew on now and then. Wooden edges and baseboard corners seem to appeal so much to bunnies, so if the room in which you set camp for him contains such elements, you should protect them to avoid being ruined by your rabbit. You can DIY them from various materials or other pieces of unused furniture or plastic and use adhesive stripes to put them in place on the corners and edges that are in danger of being chewed on by your little hopping friend. In addition to that, you can protect some parts, edges or carpet corners that stick out or lift up, by placing something like furniture or litter boxes right next to or on top of them to prevent the rabbit from having access to them. Doors are another particular part of your home that bunnies may love. And especially the corners and bottoms of the doors. In order to protect them you can mount kick plates in those specific places. They will also be useful to cover any traces of chewing done before, so your doors will look alright when you’ve got guests. 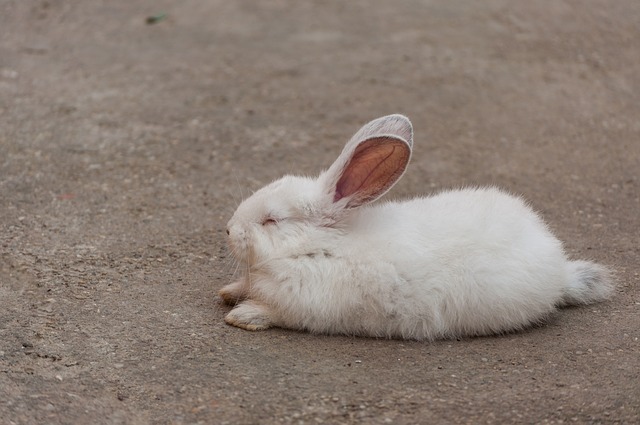 Wires and electrical cords are probably the most dangerous of all things rabbits can chew. Yes, it’s annoying to have these chewed, but the biggest problem lies in the fact that bunny can get seriously injured when biting at anything that’s got electricity traveling through it. 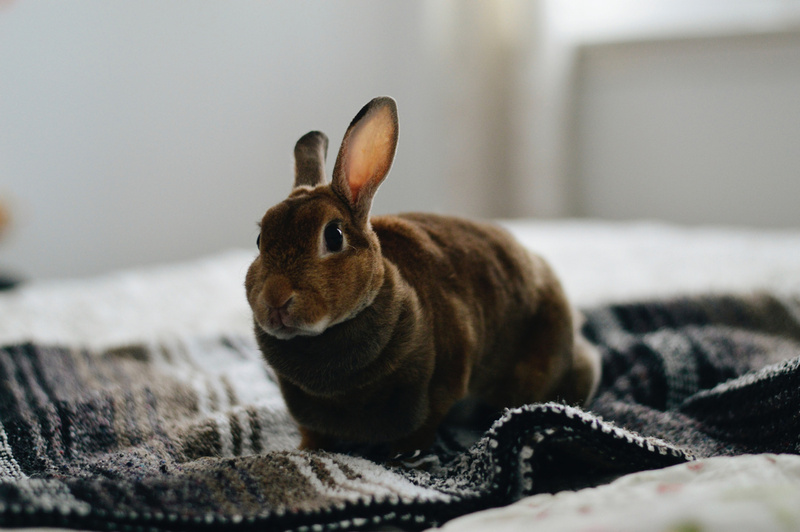 Electrical shock and burns are some of the most common injuries of bunnies who’ve gotten their teeth in all kinds of wires. Sometimes, death can also occur after the electrocution. Therefore, protecting your electrical cords, wires, and outlets is a must if you want your bunny friend safe and sound. If possible, keep them all out of your rabbit’s reach. Otherwise, use plastic cord concealers, spiral cable wrap or PVC pipes if there’s no way you can get those cables out of your rabbit’s space. 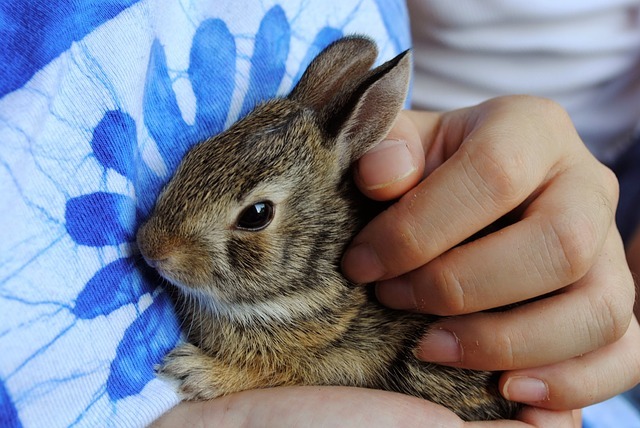 For the outlets, to avoid being chewed on by your bunny, you can use a baby electrical outlet plug. Wooden furniture (especially the legs and lower edges and corners) and upholstery are also frequently under attack by playful rabbits. Though not very aesthetic, flex tubing or large PVC piping can do the trick of keeping those parts of your furniture intact against the chewing. Plastic furniture corner protectors are also a good option. 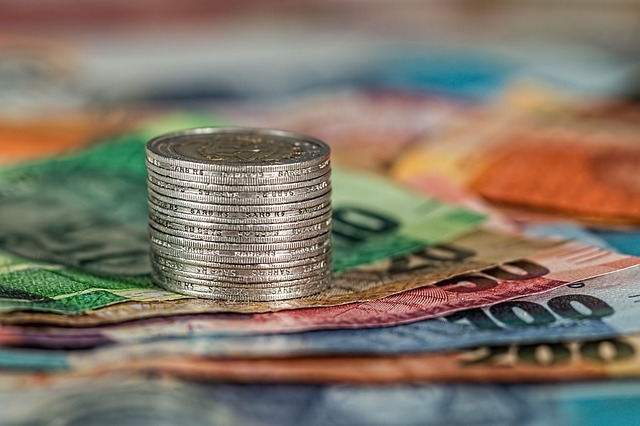 The only trouble is that furniture comes in so many shapes and sizes that you may need to get creative and improvise in order to protect some parts of your furniture and upholstery. Houseplants are another thing you need to protect from your rabbit. 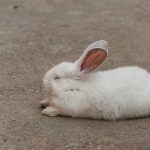 Some of them are even toxic to rabbits, so the best way is to ensure they are out of your bunny’s reach, as they can cause them a lot of health troubles. If you can’t keep them away from your rabbit’s area or room, at least keep them somewhere off the ground where your bunny can’t reach. Even if they’re not toxic to bunny, keeping them on the ground, with his digging habits, will only lead to a lot of mess. 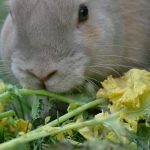 These are the most common things rabbits chew on, but depending on the configuration of your home, there might be other parts we missed. The idea is the same. Also, there are other options that may be of help. Making things smell bad for your bunny should keep him away as well. Bitter sprays and other repellents are a good option. 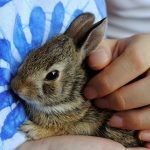 Training and providing proper chewing toys to your bunny should also do the trick, but they might not be enough. You should always watch your bunny closely for a period to determine his habits and how inclined he is to chew on stuff. In some cases, training and chewing toys will work. If not, you’ll need to rabbit proof your home.